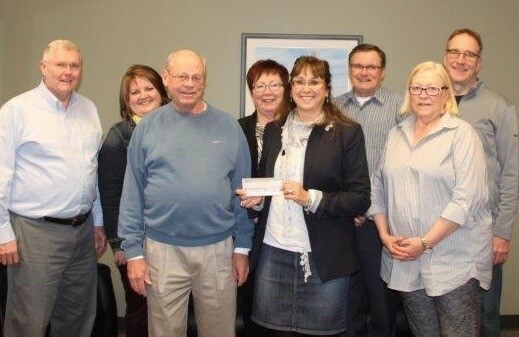 The Headingley Community Foundation reaches the Thomas Sil Foundation’s $50,000 fund raising goal and is rewarded with a $25,000 cheque. 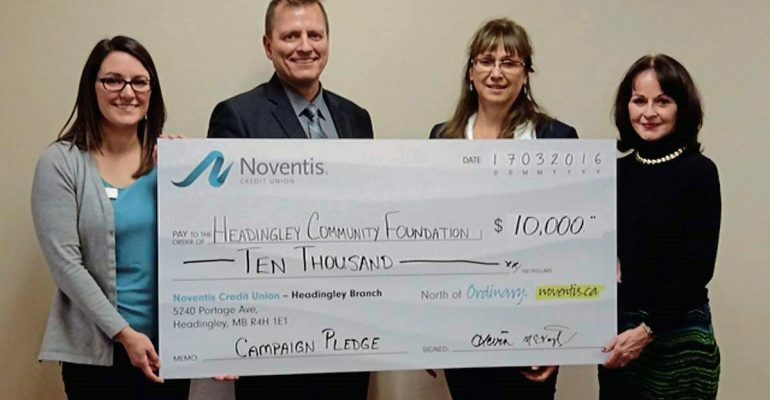 The Headliner March 28, 2016 Noventis Credit Union Presenting a Big Donation Noventis Credit Union recently donated $10,000 to the Headingley Community Foundation. 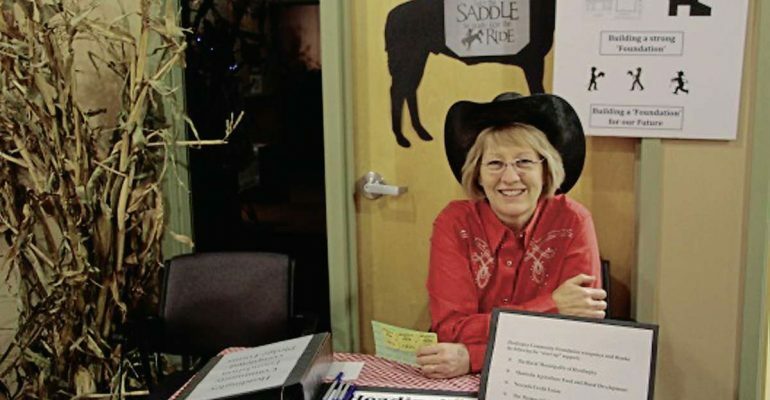 (Pictured from left) Jennifer Laramee, Headingley branch manager; Kevin McKnight, Noventis CEO; Georgia Taillieu, Headingley Community Foundation president; and Deborah Thorlakson, Headingley Community Foundation board member.